This has been the first full week of 10-minute strength and mobility exercises after each run. Three days of Core H and three days of A Better Myrtl. A Better Myrtl goes pretty well but I struggle through the last 3 steps of Core H. I read about physical therapist’s Gary Gray’s lunge matrix as a warm-up to running so, of course, I had to try this out every day this week as well..
On Monday, the 10 minutes of Core H waited until I stopped at the garden center to pick up plants for all the planters around the yard. 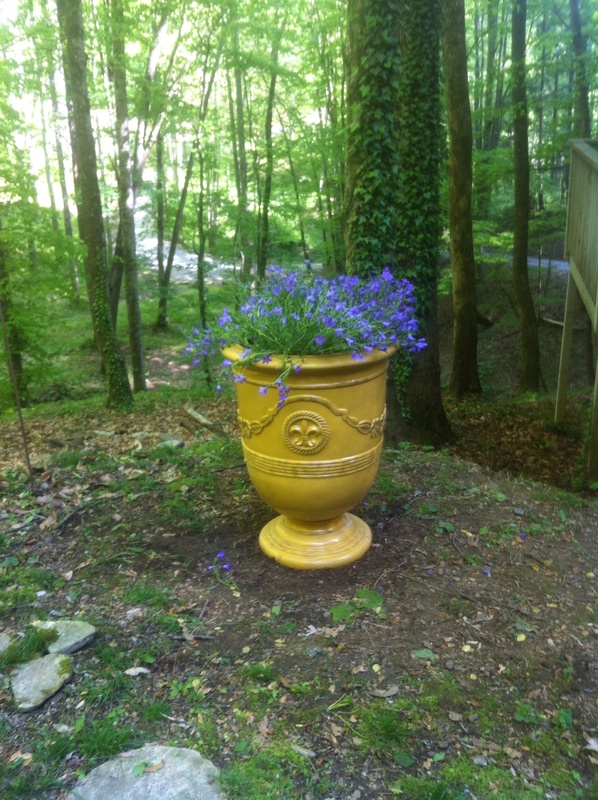 While Mr. Boggs wrestled the empty plastic pots to the ground, I worked my way around the yard with my garden bucket full of 80 pounds of good, black dirt and beautiful flowers. By now my husband has usually called Abel to stop by with his weed whacker and whack off everything between the house and the creek down below. Being fully preoccupied with his work this year, the call to Abel was left to me….which I procrastinated a bit. The extra time gave me a good look at what Mother Nature grows here naturally, including Nodding Trilliums. Tuesday was the day I decided to spare as many as I could from the whack of Abel’s blade and I climbed up and down the mountain in search of these tall, beautiful wonders. Wednesday I added a few stones to the walkway I’ve been working on since last fall. This area is always muddy after it rains and I wanted a walkway that looked like it has always been there. The only reason this has been a success is because I have no clue what I’m doing. For days I’ve searched the yard for just the right size rocks, lugged them up to the path in my garden bucket, dug the hole, placed the stone, moved the stone, dug the hole deeper, put the stone in, jump on it to see if it wiggles, start the process all over. Thursday was clean-up day around the yard. I gave Abel permission to cut ivy from anywhere he found it but threatened his life if he touched the ferns or my newly found trilliums. 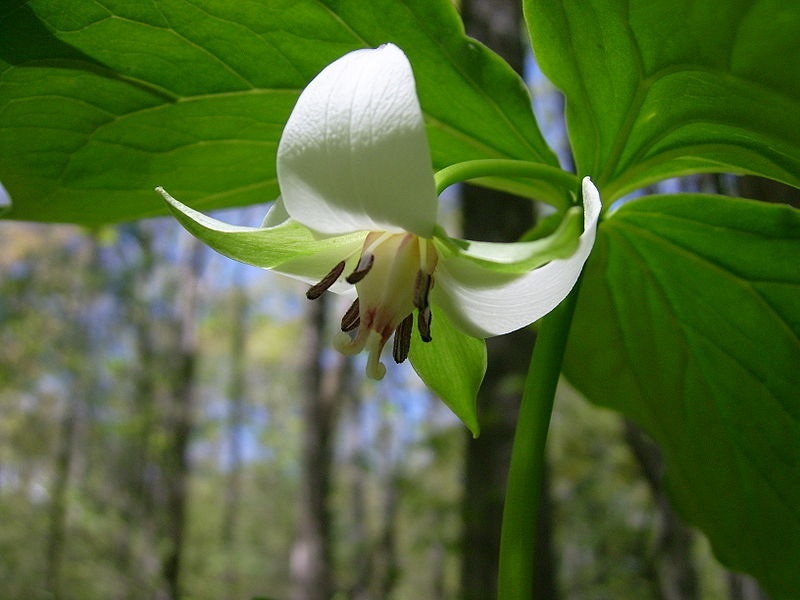 He’s a good man and now I have a clean slate all the way to the creek with colonies of trilliums standing tall. My Sifu got a new floor mat for the classroom so Thursday night at Kung Fu we all practiced our rolls. First we walk up to the mat, fall over head first with our weight on one shoulder and simply roll – working our way up to diving on the mat and into a proper roll that lands us in a fighting stance. i can’t say I’ve mastered the diving roll but it was great fun trying. We dived, jumped and rolled for an hour. Friday morning I rolled out of bed….oh boy. I was sore. My thighs hurt and my gluts…my arms, quads, sides and abs. Everything hurts. This was a bad day for my run to be on one of the more difficult routes. The track was right there and so tempting but I avoided the easy way out and worked my way through the hills. Our neighborhood in Atlanta was having a garage sale so my husband suggested I drive down with the dogs Friday afternoon. Mr. Boggs agreed to take a bath for the occasion and then we all piled in the Jeep for the drive. Up and down the stairs I carried this and that to the garage. I think all of us neighbors were our own best customers and by Saturday afternoon I was in the car again heading north with a few dollars in my pocket and a few new treasures in the back seat. One last Sunday morning run, 10-minutes of work and I’ve finally completed another week. My husband and I had a debate this morning as to whether the week ends on Sunday or begins on Sunday. I told him anybody that works this hard all week deserves for the week to be over on Sunday night. His calendar can begin and end any day he wants. My week is officially over. Your week sounds a lot like ours has been with the spring battles over which weeds are weeds and which are wanted (wildflowers). Also, continuing rock work – wall adjustments, walkways, planting wells, etc. Playing catchup with your blog and going from newest to oldest. Looking forward to finding out more about the Core H and A Stronger Myrtle. Finally, my work/workout week has always ended on Sunday. Gives me a change to get the longer run in on Fri, Sat or Sun (or to include a race as such). My schedule (much less demanding than yours) refers to the three days as “Weekend”. Speaking of which, the Biltmore 15K/5K was fantastic even though I did not run the race length I wanted, I ran the race I needed. 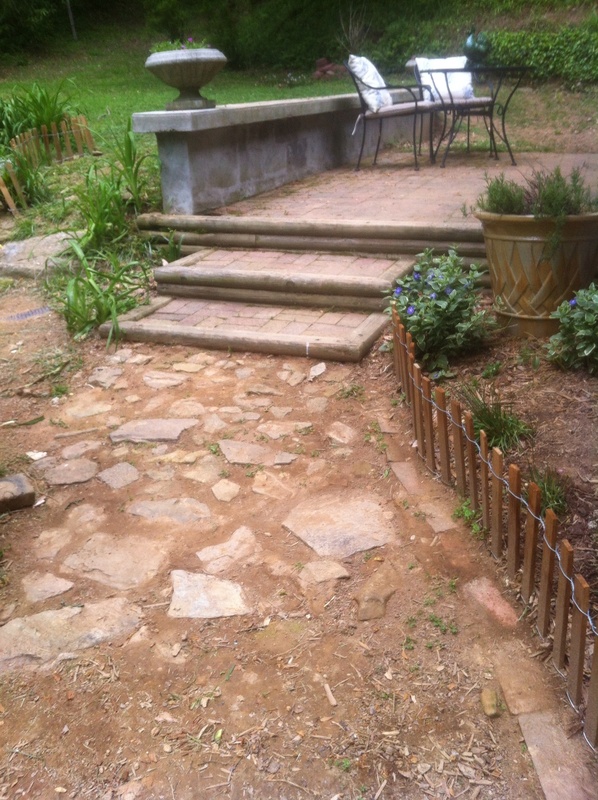 Hey Chas, can’t wait to hear about the race…and maybe you can give me some advice about my stonework. 🙂 see you in class.